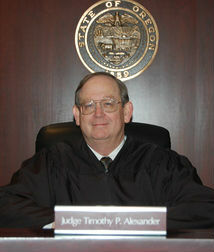 Tim Alexander, a senior judge since 2007 and former Washington County Circuit Court judge for 17 years was used to handling high-profile cases. He had been involved with death penalty cases for more than 40 years, acting at various times as a prosecutor, defense attorney, appellate lawyer and trial judge. This past summer, he received his most recent prominent case: The Oregon Supreme Court assigned Alexander to rule on the declaratory judgment action filed by convicted murder Gary Haugen against Kitzhaber to reject the governor’s attempt to block Haugen’s death sentence. Alexander’s Aug. 3rd ruling garnered headlines: He determined that the inmate had the right to reject the governor’s reprieve, and “that absent (Haugen’s) acceptance, a reprieve is ineffective.” The Oregon State Supreme Court has since agreed to hear an appeal from the governor and has scheduled oral arguments for March 14, 2013. Citing part of Alexander’s ruling in which he stated that he agreed with many of the concerns Kitzhaber expressed, and shared his hope that the legislature will modify and improve laws regarding sentencing for aggravated murder, an editorial in The Oregonian concluded that the judge is “no fan” of capital punishment. But Alexander told the Bulletin that such an assessment was too simplistic and superficial. He contacted the magazine immediately after the June article appeared, saying he would like to share his perspective on the topic, because he said he didn’t think anyone else in Oregon had served in as many different roles in relation to the subject as he had. Alexander added that after four decades of dealing with death penalty litigation, his views had changed markedly. He wanted to communicate to the bar, the Legislature and the Citizens of the state that he believed Oregon should abolish the death penalty. A little more than three weeks after speaking with the Bulletin, Alexander, 65, passed away unexpectedly on Sept 9. Because he had been so adamant about wanting to voice his position on this topic, the Bulletin felt that allowing him to express his opinions posthumously would be what he would want. His family agreed. Alexander’s stance at the time of his death was that serving in prison for life is a “significant enough penalty that we do not need to go through these steps.” If a jury imposed life without parole, it would simplify things for everyone, would save “extraordinary sums of tax dollars that could be better used for other purposes” and would be an “effective way to handle even most serious murder cases,” he contended. According to Paul Nickell, editor of the Oregon State Bar Bulletin, the articles on the death penalty in the June and November issues are there to encourage discussion of the death penalty among legislators, members of the legal profession and the general public. This sentiment is exactly that of Oregonians for Alternatives to the Death Penalty (OADP). It is our mission to repeal the Oregon death penalty, but that will not happen unless the “called-for discussion” is fully played out. Let’s talk. My name is Aba Gayle. I live in Silverton, Oregon. My daughter, Catherine Blount, was murdered when she was 19 years old. I oppose the death penalty under any circumstances. An execution is a state sanctioned, premeditated murder. I believe that murder is wrong whether it occurs in a home, in a school, in the streets or in a prison. It is the ultimate violation of human rights. Perhaps you are thinking of the pro death penalty argument that we need the death penalty so that the victim’s families can have closure. The reality is that the only persons that benefit from the death penalty are the politicians who brag about being tough on crime. Victims need swift justice. The guilty party must be arrested, put on trial and put away where he/she can never again hurt an innocent person. Once that happens, healing can begin. We do not need a system that pays more attention to the perpetrator than the victim. The death penalty keeps the families on edge as the endless rounds of appeals keep rotating through the courts. Both the trial for the death penalty and the years of special housing on death row plus the ongoing cost for appeals attorneys cost far more than life without possibility of parole. All the money would be far better spent on therapy for victim’s families. The idea of closure on the life of someone you loved is ridiculous. There will never be closure on my daughter Catherine as long as I am alive. Victims of violent crimes have special needs that are rarely met. These needs and how we can provide for them will be discussed in our next newsletter. On November 6th, California voters rejected Proposition 34 and an opportunity to replace their death penalty with life with no possibility of parole. 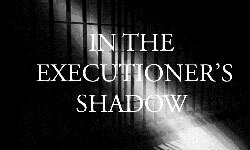 In spite of the facts that the Golden State holds 22% of the nation’s death row inmates (725), has had only 13 executions since 1967 (none since 2006), and most death row inmates die of old age after decades of taxpayer-financed appeals, in a close vote the death penalty stays as a part of their constitution. The final vote tally in favor of changing the law was “YES” 47.2% (4,269,535). Those in favor of keeping the law, voting “NO” 52.8% (4,776,815). The close vote indicates a great shift since the last time that California voters indicated their preferences. When the death penalty was re-established in 1977, 71% of the voters favored it. This 18.2 percentage point drop is significant and in line with other polling across the country. Five states have replaced their death penalty in the past five years, indicating a national shift in opposition of the death penalty nation-wide. “We are encouraged by the major shift in attitudes in California, since the last time they voted on the death penalty. A shift of more than 18 percentage points is significant and we should take heart with that outcome”, stated Jeff Ellis, OADP board member and head of Oregon Capital Resource Center, which provides death penalty defense services in cases here and around the country. Education of the electorate is an important factor when talking about the death penalty. The Field poll, taken a week before the election in California, showed that greater than two to one (62% to 26%) would support Prop 34 among those who believe that the death is more expensive than giving a convicted felon life in prison with no possibility of parole. Conversely, voters who felt that the death penalty is cheaper, lined up on the “NO” side 59% to 27%. This in spite of the fact that there have been fifteen definitive state studies, including one in California, that show the death penalty to be far more expensive than the life without parole option. Also from that Field study, many voters (62%) did not believe that “life with no possibility of parole” really meant that the convicted murderer would die in prison. These polling numbers indicated that more needs to be known about the reality of the administration of the death penalty. Life without parole, as it is practiced in non-death penalty states, means just that…..convicted murderers die a natural death in prison. Going into Election Day, polls indicated that 17% of voters were undecided. Many “undecided” abstain from voting or stay with the status quo. In California, the potentially most notable voice for replacing the death penalty was Governor Jerry Brown. He did not express his preference until after he voted “YES” on Prop 34. By contrast, Oregon has a Governor who does not approve of the death penalty and has made that position clear with his moratorium against executions during his term in office. When making that declaration, Governor Kitzhaber called for a “long overdue" discussion on the death penalty. That discussion has to take place in the legislature and also in the “public square.” Oregonians for Alternatives to the Death Penalty (OADP) is working hard to promote that discussion. Education of the electorate is essential. While California voters rejected this recent opportunity to replace the death penalty, the outcome in Oregon need not be the same. “Oregonians will do what Oregonians do.” Oregon will have the chance to vote on a similar change to our constitution soon. Let’s make sure that voters cast their votes with all the knowledge possible and that their fears are alleviated when having all of the facts. 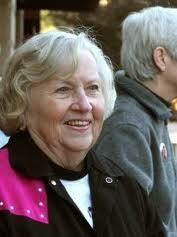 For more information on OADP, go to www.oadp.org or call (503) 990-7060. 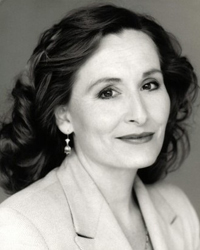 It’s the Northwest premiere of the opera based on the extraordinary book by Sr. Helen Prejean and the award-winning movie starring Susan Sarandon and Sean Penn. Dead Man Walking is hailed as a "perfect fusion of ideas and emotions." Metropolitan Opera artist and international star Janice Kelly makes her Eugene Opera debut in a new production you won’t want to miss. "And what, exactly, should an opera be? It should be a theatrical experience that exploits every art form involved - drama, design, music - to its fullest. It should be crafted and performed by people working at the height of their individual abilities to create something that speaks directly and passionately to the human soul. "Dead Man Walking is all that and maybe even a little more. It is opera at its most accessible, with a story and characters that are instantly recognizable and under-standable, caught up in events that are all too familiar, yet deal with the most funda-mental of issues: life, death, redemption." Leading up to the production, both Sr. Helen and the composer will participate in educational events organized by Eugene Opera, the Eugene Public Library, the University of Oregon, and Sponsors Inc. Events include a Community Read of the book, a University of Oregon - UNESCO Conference on Prisons and Peace, art exhibits at the Downtown Initiative for the Visual Arts and the Jordan Schnitzer Museum of Art, a celebration of Sponsors Inc.'s 40th anniversary, and the opera itself. Eugene Opera General Director Mark Beudert reflects: "The upcoming production of Dead Man Walking will place the synergetic energy of our Company, the state's flagship research institution, the city public library, and a local grassroots organization at the service of a work that has great social and political significance. It will do so at a time when the philosophical concepts at the heart of this important contemporary work are very much part of our political discourse." See www.eugeneopera.com. Mark your calendars: March 15th and 17th, 7:30PM, Hult Center for the Performing Arts. 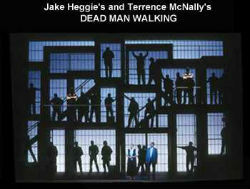 Visit http://www.eugeneopera.com/dead_man_walking.html or call 541-682-5000 for tickets. The Texas Attorney General's Office has released partial results of DNA testing long requested by attorneys for death row inmate Hank Skinner. Although the results are incomplete and reveal the presence of another unknown person, the state is claiming the tests confirm Skinner's involvement in the murder of his live-in girlfriend, Twila Busby, and her two adult sons in 1993. Skinner had been seeking additional DNA testing since 2000 even while execution dates had been scheduled, but his requests had been denied until the defense attorneys and the state finally reached an agreement in 2012. According to a statement from Skinner's attorney, Rob Owen, "We will remain unable to draw any strong conclusions about whether the DNA testing has resolved the stubborn questions about Hank Skinner’s guilt or innocence until additional DNA testing has been completed, and the data underlying that DNA testing has been made available to our experts for a detailed review," he said. DNA testing after conviction has contributed to 300 exonerations in the United States, including 18 from death row. There have been 44 DNA exonerations in Texas alone. A Texas Court of Inquiry is set to review allegations of prosecutorial misconduct by former District Attorney Kenneth Anderson, who withheld critical information in a first-degree murder case in Williamson County. Although prosecutorial misconduct has played a role in many wrongful convictions, including death penalty cases, such an oversight hearing is unusual. Sam Millsap, the former District Attorney of Bexar County, Texas, said, "I’d love to be able to tell you I am the only former elected prosecutor in the country who finds himself in the position of having to admit an error in judgment that may have led to the execution of an innocent man, but I know I am not." If the Court finds that Anderson's alleged misconduct rises to the level of a crime, the case may be referred to a grand jury. Anderson, who is now a Texas judge, presided over the prosecution of Michael Morton , who was convicted and sentenced to life for his wife's murder in 1987. Evidence suggesting Morton's innocence, including a bloody bandana found near the crime scene, was kept from the defense. DNA testing of the bandana led to Morton's exoneration in 2011, and implicated another man who is also suspected of subsequently murdering another woman. Anderson's successor as D.A., John Bradley, who fought against allowing DNA testing in Morton's case, has said he now believes he was wrong, adding, "We shouldn’t set up barriers to the introduction of new evidence." Reprieve Issues Report on Foreign Nationals on Death Row In U.S.
A new report by Reprieve, a non-profit organization based in London that provides legal representation and humanitarian assistance to foreign nationals on death row in the U.S., found that many U.S. states were not in compliance with the Vienna Convention on Consular Relations. This treaty, which the U.S. has signed and ratified, requires participating countries to give arrested individuals from other countries timely notice of their right to contact their consular officials. In 95% of the U.S. death penalty cases involving foreign nationals reviewed by Reprieve, the requirements of the treaty had not been met. No new death sentences were imposed in North Carolina in 2012, marking the first time since 1977 that this has occurred. The state had a record-low of four capital trials in 2012. Thomas Maher, executive director of North Carolina’s Indigent Defense Services, said, “In some ways, it’s a milestone. In other ways, it’s part of a trend.” In 2000, juries in the state presided at 57 capital trials, ultimately yielding 18 death sentences. In 2011, there were 12 capital trials resulting in 3 death sentences. North Carolina has not carried out an execution since 2006. This declining use of the death penalty is in line with a broader national trend. In 2011, there were 78 new death sentences in the U.S., a 75% drop from 1996, when 315 individuals were sentenced to death. It was the first time since 1976 that the country produced fewer than 100 death sentences in a single year. In October, the U.S. Justice Department released the annual FBI Uniform Crime Report for 2011, indicating that the national murder rate dropped 1.5% from 2010. This decline occurred at a time when the use of the death penalty is also decreasing nationally. The Northeast region, which uses the death penalty the least, had the lowest murder rate of the 4 geographic regions, and saw a 6.4% further decrease in its murder rate in 2011, the largest decrease of any region. By contrast, the South, which carries out more executions than any other region, had the highest murder rate. It saw a small decline from last year. The murder rate in the West remained about the same, while the rate in the Midwest increased slightly. Four of the five states with the highest murder rates are death-penalty states, while four of the five states with the lowest murder rates are states without the death penalty. Please consider a year-end donation to OADP. 2013 will be a critical year as we reach out to other organizations to form a larger coalition to spread the word about repeal in Oregon. We continue to be an all-volunteer organization and need to grow in many ways. Your financial support is critical to that growth. Contributions are tax-deductible to the extent provided by law. Please make checks payable to OADP and mail to P.O. Box 361, Portland OR 97207-0361.
Credit card donations may be made by visiting our website, www.oadp.org, and clicking Donate.